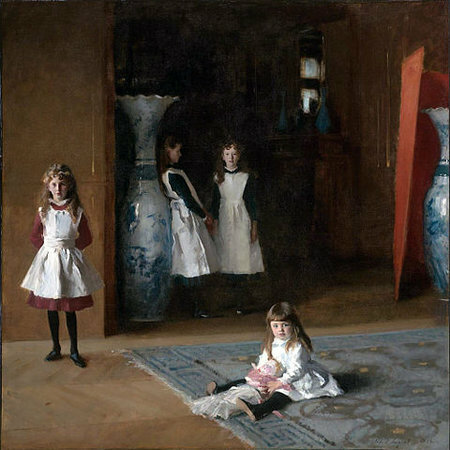 Another painting exhibited at the Paris Salon and designed to showcase Sargent’s talent was The Daughters of Edward Darley Boit, a commissioned life-sized group portrait of a wealthy Bostonian’s four daughters posed within the foyer of the family’s Parisian apartment. The girls have highly individualized representations, each bestowed her own unique position, though they do not interact. Again Sargent reveals interest in the interplay of light and shadow, of clarity and obscurity. The treatment is uncannily beautiful, though somewhat unsettling: breaking with conventional portraiture, one of the girl’s faces isn’t even visible to the beholder, and the asymmetrical composition, the inclusion of empty space, and the isolation of the figures all add to the sense of quiet unease. As with El Jaleo, The Daughters of Edward Darley Boit certainly succeeds in evoking a particular mood. 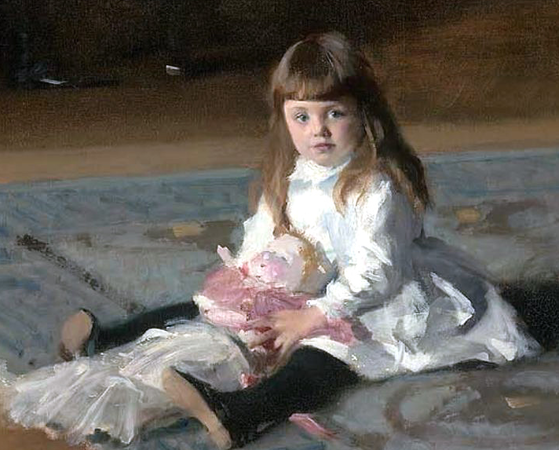 Sargent’s style is a clear testament to his artistic training. 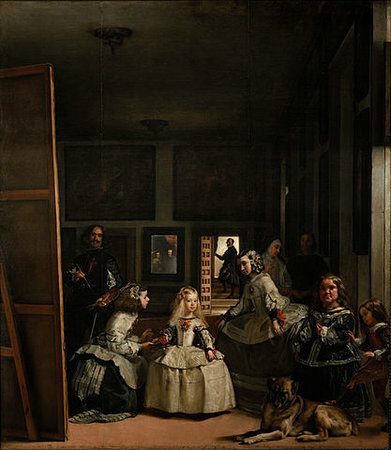 His instructor Carolus-Duran encouraged students to study the work of seventeenth-century Spanish master Diego Velázquez, and here Sargent produces a modern reimagining of Velázquez’s famed Las Meninas of 1656. Unlike the tightly polished and refined brushwork of contemporaries such as Jean-Léon Gérôme, Sargent preferred a painterly approach more akin to the Spanish Baroque. Sargent carried this brushier style into other works as well, including Impressionistic landscapes and outdoor watercolor experiments. It should be mentioned that the two oversize Japanese porcelain vases pictured in the apartment were also donated by the Boit family to the Boston Museum of Fine Arts, and are exhibited beside Sargent’s painting. This is a noteworthy stroke of luck that provides a rare opportunity for the viewer to more fully immerse himself in the scene portrayed, to transcend the boundary between the world captured in the art and the historical foundation on which it was based. 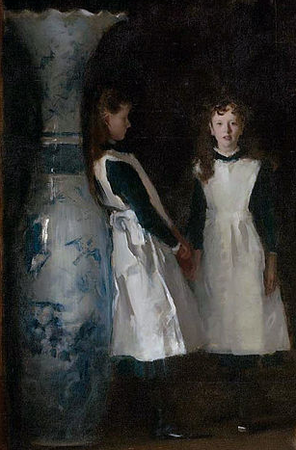 Cite this page as: Meg Floryan, "John Singer Sargent, The Daughters of Edward Darley Boit," in Smarthistory, August 9, 2015, accessed April 22, 2019, https://smarthistory.org/sargent-the-daughters-of-edward-darley-boit/.